Life at ranch with horse has so much to teach you : you learn everyday with horses, and you grow as an individual. But managing a ranch is a heavy responsability. The life at ranch can radically change from one day to the next : you have to feed the horses each morning, give them hay enough for the whole day. The horse is an hypsodont animal, that is to say that his teeth grow all along his life : that is why he needs to chew hay or grass all day long, to file his teeth down. After the care to the horses, you have to maintain the stables. For this the boxes have to be cleaned, the paths have to be sweeped, and the saddlery has to be cleared up and the paddocks have to be cleaned. Then you have to work the horses who need to work, and feed them a second time. We provide you some photo reports to learn more about our life at the ranch, and some workshops to learn how to manage a ranch. As horses lovers, we wanted to share our passion with the widest community possible. That is why we decided to create this blog, that we entirely dedicated to the horse world. 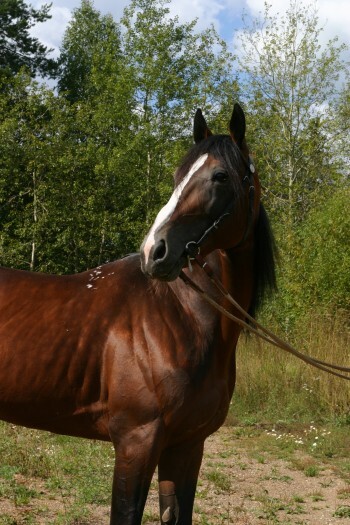 You will find many information about horse breeds, the most famous and the most unusual as well. We also give you a lot of advice to take of your horse daily : grooming, work, nutrition and health... You will learn everything you have to know about this beautiful animal ! Moreover, we provide you each week some new good deals to buy your horse riding equipment at best price, thanks to our partnerships whith many specialized brands : benefit from discount codes to use the best saddlers, and get your tickets for the most famour international horse riding competitions.